Having issues with breakouts or just an occasional blemish? Here is an easy way to heal blemishes without popping whiteheads and risking scarring or increased breakouts. For small clogged pores/whiteheads, it’s best to leave them alone. Sometimes they don’t come out easily and you risk rupturing the pore wall underneath. This inflames the whitehead and causes a bigger infection. 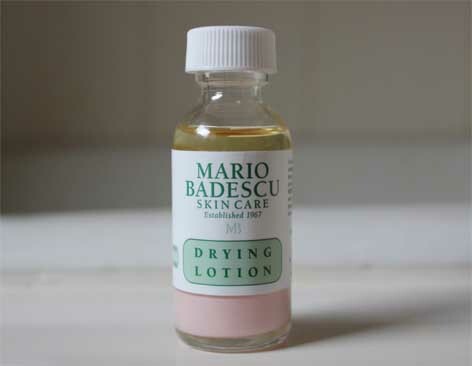 Mario Badescu has created a wonderful product that heals the blemish quickly and without damaging your skin. This drying lotion helps dry up pimples in a matter of a day or so. I use it occasionally to target problem areas, but it can be used on as many spots as necessary. Here is some verbiage from the website to educate you more on the product. “This is our award-winning, go-to spot treatment for pimples. Renowned for its ability to help dry up whiteheads overnight, our iconic Drying Lotion continues to reign as a best-selling favorite amongst beauty editors, celebrities, and professionals worldwide. This fast-acting, effective spot treatment is specially formulated with Salicylic Acid, Sulfur, and Zinc Oxide to help draw impurities from the skin and target pesky pimples while you sleep. #MBSKINTIP:No matter how tempted you are, don’t shake the bottle. Don’t worry if you do—simply set the bottle on an even, flat surface. Leave it undisturbed overnight and voilà: your Drying Lotion is settled and looking brand new. It does have a slight smell, but nothing overpowering. It’s pink because it has calamine in it, so I use it before bed. 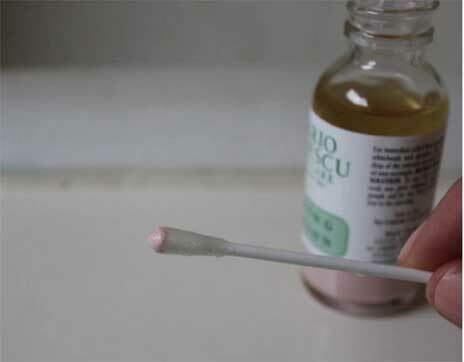 Don’t shake it, just push a clean q-tip into solution and dot on blemishes. Check it out and clear up problem areas quickly!